There are three things in life that are certain: death, taxes, and the promise of miraculous weight loss cures. For years, companies have been pushing products that promise to single-handedly melt off the pounds with minimal effort; no diet or exercise required. Whether or not you have been burned by the false promises of these magic weight loss cures before, it is important to remember that nothing short of a healthy diet and a consistent exercise routine will deliver the desired weight loss results. So with all of the recent attention focused on the weight loss benefits of oolong tea (also known as wu-long tea), garnering celebrity endorsements from Rachel Ray, Oprah, and Dr. Oz, it is easy to wonder if the tea is just another weight loss fad that will vanish in time. Despite the impossible claims of weight loss cures before, research has found that combined with a healthy diet and a steady exercise routine, oolong tea is a wonderful supplement in both shedding the weight and weight loss maintenance. It has been an ancient Chinese belief that consuming oolong tea is instrumental in preventing obesity by decreasing weight and speeding up the metabolism. Oolong (Wu-long) tea is derived from the stems, leaves, and buds of the Camellia Sinensis plant. Although green tea and black tea is also produced from this plant, it is processed differently from its sister teas. Black tea is fully fermented, green tea is unfermented, and oolong (or brown tea) tea falls in the middle, being partially fermented. In this study, participants at the Beltsville Human Nutrition Research Center observed the energy expenditure of participants who either drank four cups of oolong tea or four cups of plain water each day for three days. The research indicates that there was a 3% increase of energy expenditure and that participants burned an average of 67 more calories per day when they drank oolong tea instead of water. Oolong tea naturally contains caffeine, which helps to release and burn stored body fat. Research conducted at the U.S. Department of Agriculture found that the participants who drank oolong tea experienced a 12% fat oxidation rate. Scientists speculate that drinking oolong tea instructs the body to burn fat for energy, making this tea a perfect beverage choice before embarking on your workout routine. The various polyphenols found in Oolong tea help stimulate weight loss and also have anti-inflammatory effects. According to research, drinking Oolong tea can boost your metabolism by up to 10% helping your body to burn more fat. Both the caffeine and the Epigallo catechins found in Oolong tea can help to promote the oxidation of fat. Oolong tea helps to regulate blood sugar levels in the body, increase feelings of satiety meaning you are less likely to snack through the day. Oolong tea can help reduce LDL cholesterol levels while blocking the absorption of fats and carbs. Research has found that Oolong tea can help increase the energy expenditure in the body. This can further promote weight loss over time. A healthy digestive system is key to weight loss. Oolong tea is great for the digestive system since it can help raise pH levels in the gut. Oolong tea contains no calories. Simply drinking Oolong tea instead of a calorie filled soda or sweetened hot drink will mean you are consuming significantly fewer calories in the long run. There is a relatively strong body of scientific evidence suggesting that oolong tea really does live up to its weight busting reputation. Studies have suggested that the combination of polyphenols and caffeine helps raise the metabolism for the hours immediately after drinking. They also suggest that oolong can block certain fat building enzymes all of which leads to sustainable weight loss when drunk on a regular basis. A Chinese study published in 2009 was conducted to determine the effects of drinking oolong tea on obesity and body fat. 102 overweight or obese participants were given 8 grams of oolong tea for a total of 6 weeks and while the results were not dramatic, they were certainly positive. 70% of the subjects considered to be severely obese lost more than a kilo in weight while 22% lost in excess of 3 kilos. Results for obese and overweight subjects were equally promising with 64% and 66% of subjects in those two categories losing more than a kilo. As well as the decreases seen in body weight, subjects in all categories also experienced a significant decrease in subcutaneous fat levels which, in the case of female subjects, also led to a decrease in waist size. Furthermore, the experiment revealed that drinking oolong tea brought about a remarkable decrease in triglycerides and total cholesterol levels in subjects with hyperlipidemia. Another study set out to examine the effect of oolong tea consumption on metabolic rate and energy expenditure on men. The experiment which was published in 2001 was designed to compare the effects of full strength and half strength tea as well as plain water and caffeinated water equivalent to the full 15 grams of tea treatment. The participants were given each of the four treatments for 3 days with energy expenditure being measured at the end of the third day. A later experiment published in 2003 demonstrated very similar effects with regard to the impact of oolong tea on Japanese females. (3) The Japanese study went on to say that oolong tea possessed half the caffeine of green tea but double the amount of polymerized polyphenols and concluded that these polyphenols were probably responsible for the increased energy expenditure experienced. The effects of the decaffeinated polyphenols contained in oolong tea were put to the test in a recent experiment on mice. The study published in 2014 set out to investigate the ability of oolong tea, green tea, and black tea to reduce body fat. In addition to its well-researched weight loss capabilities; Oolong tea is chock full of antioxidants. The antioxidants help to boost your metabolism by 10%. As shown in the research studies Ooolong effectively burns fat, especially in the tummy and upper arm area. Once you’ve burned the fat, these antioxidants help to keep the weight off, making it a safe long-term supplement for weight loss maintenance. Oolong tea contains a high amount of the antioxidant poly-phenol, which in addition to being a wonderful weight loss aid, also hosts a plethora of health benefits for the oolong tea drinker. Polyphenols promote strong, healthy teeth; sharper cognitive functioning; mental well being; strengthens the immune system, helps to lower the rise in insulin levels, prevents allergies and eczema as well as giving your skin a radiant glow. To experience the benefits of oolong tea, you only have to drink two cups a day to give your metabolism a boost and to help burn fat faster. Oolong tea contains caffeine, so it’s great to drink first thing in the morning to get yourself going and to jump-start your metabolism, starting your weight loss journey on the right track. Feel free to drink oolong tea throughout the day. As well as its ability to protect the body from chronic sickness, drinking oolong increases your metabolism by upwards of around 10% for about 2 hours after you have drunk it. Having a cup of oolong tea 15 minutes prior to eating a carb-heavy meal helps to lower insulin levels, therefore decreasing your chances of gaining weight. Making yourself a cup of oolong tea is also a great way to combat mid-afternoon slumps and sweet cravings. 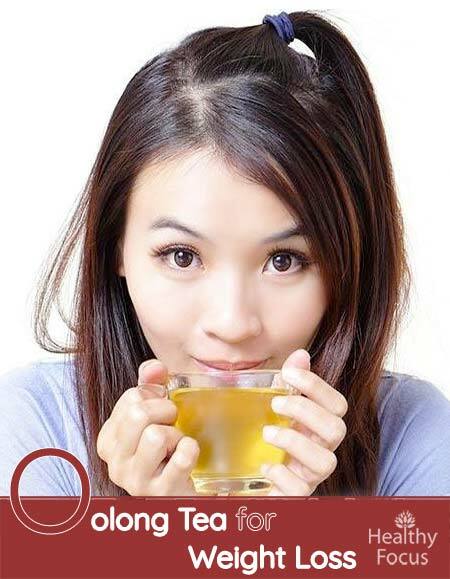 oolonOolong tea is a wonderful replacement for high-calorie coffee drinks, which often contain milk and sweeteners that are detrimental to the weight loss process. Although coffee also contains antioxidants that promote weight loss, oolong tea contains less caffeine; therefore decreasing the likelihood of suffering from caffeine related side effects. It is important to remember, however, that by adding milk and sugar to your tea, you significantly decrease the weight loss benefits of the tea by adding calories. Don’t let this discourage you; the floral and aromatic properties make oolong tea a delicious and satisfying drink. Both Green tea and Oolong Tea can be used to help lose weight. In fact, Oolong during the day when you can use the caffeine and Green Tea later in the day would be a great idea. Green tea can also be used to help lose weight on its own. 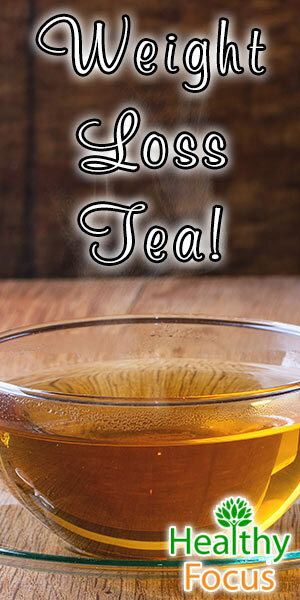 Even if you are not looking to lose any weight, Oolong tea is an extremely healthy choice of beverage. The following are just some of the ways that drinking Oolong can help protect your health. Drinking a soothing cup of Oolong tea in the evening may help relax your mind if you are feeling tense, nervous or stressed. Granted, there are no studies to confirm its use for stress and we are relying on anecdotal evidence. Dealing with stress naturally can have a significant impact on both your emotional and physical well-being. We also know that people who are feeling stressed or depressed can gain wait through comfort eating so this is another way Oolong could help you lose weight. According to studies, Oolong tea can help reduce trigyceride and cholesterol levels in the blood. High cholesterol levels are a significant risk factor for heart disease and stroke. Because Oolong tea is loaded with healthy antioxidants, it can help protect your body from the effects of free radicals. This will keep your body strong and in shape to fight off illness. Drinking Oolong tea may also help keep your bones strong and healthy. It contains both calcium and magnesium which are essential for keeping your bones strong. It may also help protect against common bone diseases like osteoporosis. Caffeine often gets a bad wrap but it does have certain benefits. One of the positive effects of caffeine is that it improves alertness and mental clarity. The amount of caffeine found in Oolong tea is unlikely to make you feel jittery in the way that strong coffee does so you get all the benefits without the adverse effects. The very powerful antioxidants found in Oolong tea can protect against the damaging effects of free radicals. By getting more antioxidants into your system, you can help reverse cell damage and many of the signs of aging like wrinkles and other blemishes. The antioxidants present in Oolong tea can also help protect you from a wide variety of illnesses. Oxidative stress is the root of many serious illnesses including heart disease, cancer, and dementia. Oolong tea contains caffeine, so if you are pregnant, nursing, or suffer from conditions aggravated by caffeine intake, you may want to check with your health care provider to see if oolong tea is a suitable drink for you. It is also important to discuss with your health care provider if consuming oolong tea will have any harmful interactions with any medication you may be taking at the time. Taken in moderation (2-3 cups a day), oolong tea is a great supplement to weight loss, however, due to the caffeine content of oolong tea, drinking too much (5 or more cups a day) can cause some side effects, ranging from mild to serious. These side effects include: headache, nervousness, irritability, sleep problems, vomiting, diarrhea, irregular heartbeat, tremor, and dizziness, confusion, and convulsions, and ringing in the ears. When it comes to shedding the pounds, there are no quick fixes or miracle cures. No magic elixir or potion is going to help you lose 20 pounds in 30 days no matter how slick the marketing campaign is. Even a healthy diet and a consistent exercise routine, the only proven method of steady weight loss, can’t even promise those results. However, adopting a healthy lifestyle, eating right, and exercising routinely will eventually yield results. Like all good things in life, it just requires patience, diligence, and time. Although not dramatically effective on its own in terms of weight loss, adding oolong tea to your routine is a wonderful aid in the weight loss battle. By drinking oolong tea, you boost your metabolism, increase energy expenditure, burn stored body fat, and consume antioxidants that burn fat and promote good health. Unlike other diet supplements on the market, oolong tea is safe for long-term use, so drinking oolong tea is a great alternative for weight loss maintenance, helping you to stay slim. Oolong tea is a delicious, healthy alternative to your regular cup of coffee or sweetened drink. When it comes to weight loss, there are no quick fixes and you are unlikely to see a great deal of effect in the short term. However, research indicates that Oolong tea can have a positive impact on your weight. It helps speed up the , metabolism and improves the way the body uses its energy. While you may not see any immediate results, switching to Oolong tea and drinking a few cups each day may well have an impact in the long term. The benefits of drinking Oolong goes beyond simply losing weight. The antioxidants it contains can help protect you from disease and keep your skin looking young and healthy. Do you drink Oolong tea and have you noticed any positive effects? Let us know in the comments section; we would be delighted to hear from you.